I’ve struggled with depression since I was 12 years old, in and out of bad spells through my parent’s divorce and some other pretty rough patches. I had my son when I was 25 (exactly on my 25th birthday). 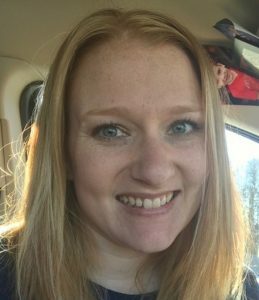 Throughout my entire pregnancy, I was happy and felt great. I was off my meds – it was amazing. After a very traumatizing birth experience, he was finally delivered via C-section. I don’t remember the first two hours after his birth, but I do remember my mother-in-law telling me that the instant she saw me after I had him, the sparkle I had for the past nine months was gone. And that’s when it started. About three months later, my depression and anxiety had gotten so severe that my mom, my mother-in-law and my husband sat me down and told me how worried they were. They knew there was something incredibly wrong. I was diagnosed with severe postpartum depression. I went back on meds immediately, struggled to find the right fit with those for months, before I settled on a regimen that I thought was working. In December 2015, things started to get bad again, so bad in fact that I had to be admitted to a rehab hospital for five days. Upon my release, I was on yet again another new regimen of meds along with counseling and psychiatric monitoring. I decided to join a MOPS group that spring and it has truly been a Godsend for me. 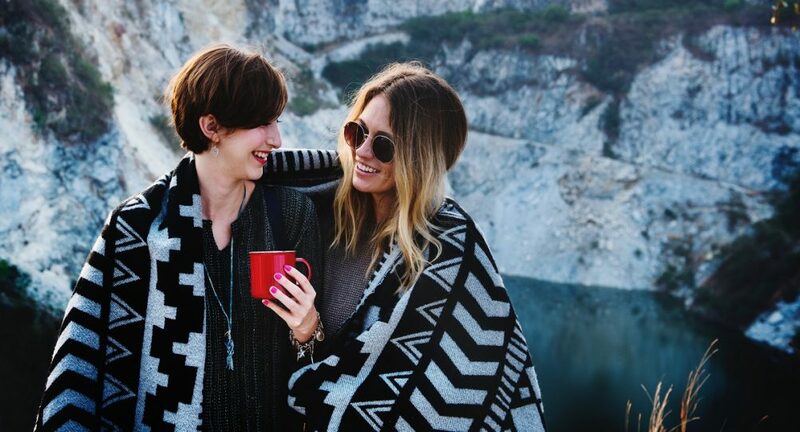 I have made lifelong friends – women I can confide in, I can trust, I can cry and laugh with. It’s still a daily struggle for me, but my meds take the edge off, and knowing that I have an amazing group of women to turn to makes it so much better. Along with knowing that I’m a friend, daughter, niece, granddaughter, wife and most importantly a mom, I am determined to be the best person I can be. I can thank my MOPS group for showing me just how important I am. 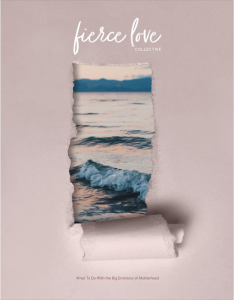 Fierce Love Collective: What to do With the Big Emotions of Motherhood is for any woman who has experienced emotions, thoughts or moods that feel too big for her heart to handle. If you’ve experienced anything from baby blues to postpartum depression, anxiety, scary thoughts, bipolar or panic disorder, and everything in between, this small-but-mighty workbook is for you. Amanda Folske lives in the Great Lakes State (Michigan). She’s been married to a great guy, Joey, for almost seven years. They have a handsome son, also named Joey, who is almost 5 years old. I’m admittedly a huge bookworm, a big coffee/unsweetened tea drinker, and I’m obsessed with ice cream. I believe sharing your story is a key component to helping others survive their story, and I’m happy to talk with anyone who needs a listening ear and supportive shoulder.